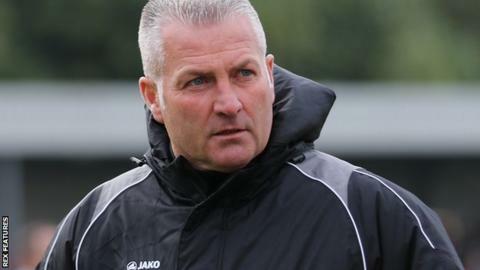 Wrexham manager Gary Mills says he hopes to complete the signing of a new striker next week. Mills previously said he did not have money to spend during the January transfer window. But the Dragons boss hopes to add at least two players to his squad, including a striker, before the end of the month. "I'm in talks with somebody and it looks like it's going to happen next week," Mills said. The former Nottingham Forest player added it was unlikely any players would be leaving the club during January. Wrexham are 11th in the National League table, eight points off fifth-placed Eastleigh who currently occupy the final play-off spot. They face Torquay United in the FA Trophy fourth round on Saturday before returning to league action at home to Lincoln City the following week.